Journalist, columnist, blogger, tireless promoter of quality. A graduate of the University of Silesia, Upper Silesian School of Economics and the prestigious Kozminski University. For almost 12 years associated with quality. Founder of the QUALITAS Foundation. A plenipotentiary of the board for quality management systems certified by PCBC SA. Member of the Quality and Standardization Committee at the Polish Chamber of Commerce. European EOQ auditor in the field of quality, environmental and health and safety systems. Author of nearly 150 publications in the areas of quality and management based on the criterion of quality, accreditation and certification, as well as a number of presentations at conferences, symposia and lectures. From 1988, he was associated with PCBC SA. 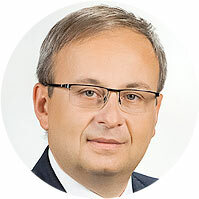 He participated in the work of the negotiation team for Poland with the European Commission in the area of adapting the conformity assessment system to the European Union conditions and active participation in parliamentary work on the development of the amendment to the act on testing and certification and the act on the system for assessing compliance, accreditation and amendment of some acts. In 1993, 1994 and 1998, for promotion of standardization and quality matters, he was awarded with badges: silver and gold and SIMP diploma, and in 2002 with the gold badge of NOT. In 2000 he was the Laureate of the Polish Honorary Quality Award, and in 2004 he was awarded the Golden Cross of Merit and received the title of Golden Engineer. He is a member of many economic organizations both in Poland and abroad, including EIPOS, KIG, CCA (Cenelec Certification Agreement), EOQ (European Organization for Quality), EFQM (European Foundation Quality Management), IECEE (CB) (Scheme CB of IECEE), and many others. In the years 2002-2014, the President of the Management Board of the POLISH CENTER FOR RESEARCH AND CERTIFICATION SA. Vice President of the Qualitas Foundation. Member of the Polish ISO 9000 Forum and the Association of Managers of Quality and Production. Member of the nationwide competition for the best thesis IKAR QUALITY. Member of the Scientific Committee of the International Scientific Conference: HUMAN RESOURCES IN A COMPANY, the editorial board of the journal Human Resources Management and Ergonomics. Technical editor and secretary of the journal Sustainable Development and secretary of the Production Engineering Archives journal. Auditor of the internal quality management system according to ISO 9001: 2009. She is the author and co-author of 236 publications in magazines and conference materials, mostly in foreign languages. Co-author of 3 articles in the Web of Science database and 2 articles in the Scopus database. Co-author of 11 monographs and 4 books, including 2 English-language ones. Coordinator of the agreement in the field of the international Erasmus program, within which she conducted a series of lectures in the field of Quality Management at the University of Salford, Manchester. She completed a scientific internship at the Žilina University, Žilina – Slovakia. Winner of many awards of the Rector of the Częstochowa University of Technology for the publication cycle and for the promotion of the quality and the concept of toyotarism. 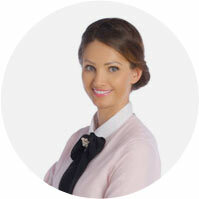 She conducts classes on quality management (including health care and tourism), procedures for obtaining quality marks (among students following the Erasmus program and EFE course, subjects taught in English), production and service management, quality systems, improvement of manufacturing processes and service and production systems. She also conducts classes on the Moodle platform in e-learning mode. 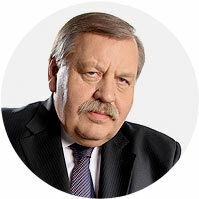 President of the Management Board of the Polish Forum ISO 9000, a researcher at the Silesian University of Technology. Educator and scientist. Author of nearly 100 scientific publications, a monography on technology management, co-author of didactic books in the areas of management, metal science and didactics. Plenipotentiary of the Institute’s Director for the Quality Management System – the first educational unit in Poland with the implemented quality management system compliant with the requirements of the ISO 9001 standard in the field of the didactic process and scientific research. Plenipotentiary of the Dean of the Faculty of Mechanical Engineering for the Quality Assurance System. 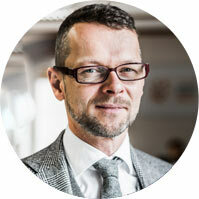 President of the Management Board of the Polish ISO 9000 Club. Auditor of the quality management system. A long-time internal auditor’s course manager. He teaches classes in quality management, quality management systems and metallurgy, including heat treatment. Co-organizer of seminars – incl. Quality Day.